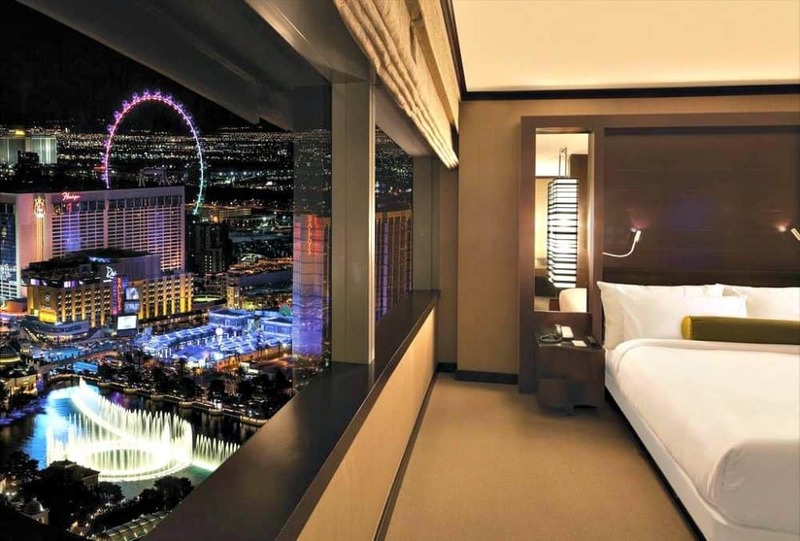 The rooms at the highly rated 4-star LINQ Hotel offer a classic decadence, with modern furnishings and a bright, airy atmosphere which contrasts with the craziness of the strip outside. 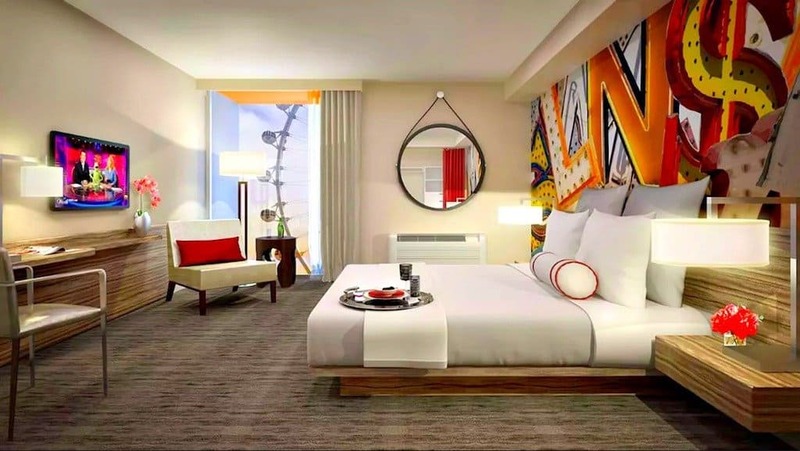 The splashes of colour are a nod to the vibrancy of downtown Vegas and it boasts one of the most central locations on the strip, only a stone’s throw from the High Roller Ferris Wheel which – standing at 550 feet above the skyline – offers unparalleled views of the area. Amenities at this hip Vegas hotel include a fantastic spa and gym, a unique museum/gallery showcasing classic cars, a number of excellent restaurants and bars, a cool outdoor pool, lashings of funky decor and a casino…of course! Opt for an upgraded room if you can, as well as free WiFi and cable TV you’ll also be treated to the Strip or beautiful mountain views – wonderful! Located in the CityCenter complex just a block from the Strip, the very highly rated 5-star Vdara Hotel has one mission, to entertain you – without a casino – and it does not fail! The luxurious Vegas boutique hotel has a cutting-edge designed pool and spa, secluded plunge pools and stylish cabanas and even a cool dog park. Of course, there’s a numerous amount of restaurants (including Thai, Tapas and Chinese) and chic bars to choose from and the upscale rooms offer free WiFi, flat-screen TVs as well as living and dining areas, soaking tubs and kitchenettes if you spend a bit more. 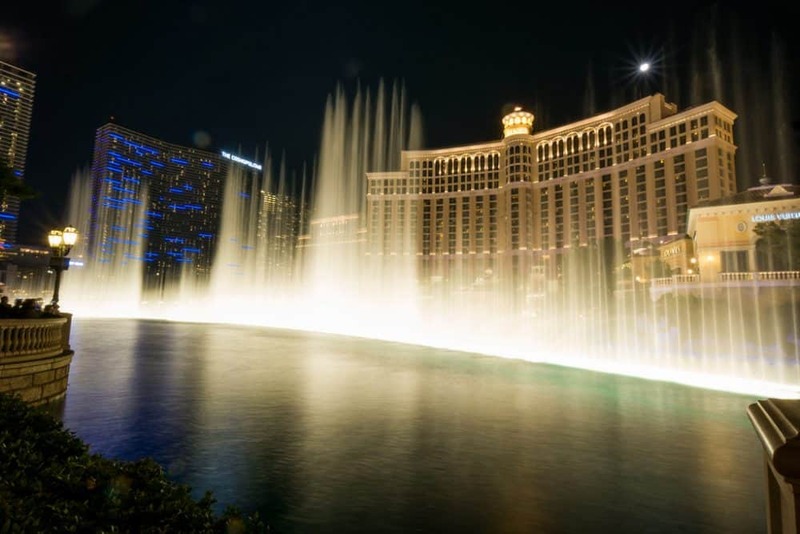 Opt for a room with a view of the Bellagio Hotel fountain if you can! Expect a stylish décor and a vibrant energy that encapsulates its surroundings with rooms sumptuously designed to cater to every traveller’s need, you’ll probably never want to leave! The on-strip chic hotel made famous by Ocean’s Eleven is modelled on the picturesque Italian lakeside village of the same name. Both inside and outside of the much loved and exceptionally rated 5-star Bellagio Hotel you can expect huge attention to detail with Italian style gardens, an art collection that runs to Renoirs, elaborate mosaic floors, top-end designer boutique stores and that’s not forgetting their huge sprawling casino, spa, no less than five outdoor pool, gym, multiple plush restaurants and bars and legendary dancing fountains shows. Their rooms and suites? Well expect very elegant rooms with marble bathrooms, tasteful art and at the top-end, private elevator access, whirlpool tubs and even personal butlers – phew!